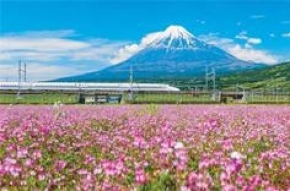 For $458 per pax, you get a 4D3N Sunshine City Prince or Shinjuku Washington Hotel Stay with Breakfast and 2 way Airport Transfer (worth $828). Watch the Tokyo horizon from the comfort of the Sunshine City Prince Hotel, Ikebukuro hotel room. Fully decked with modern amenities and facilities well in order, guest are assured that the nights' stay would be comfortable, convenient and enjoyable. With breakfast provided every morning, select from a variety of choices such as Western, Japanese and Asian styled dishes. And in the heart of Tokyo's most popular business and entertainment district lies Shinjuku Washington Hotel. Reflecting the ultra modern design aesthetics in its iconic exterior and a simple Japanese lifestyle inside, rooms are neatly furnished and come with everything you need. A warm bed, ensuite bathroom with bidet toilet, television set and high-speed internet connection make one feel at home. The land of the rising sun seems to get most of its light from the buzzing capital of Tokyo. A mere glimpse of the brightly lit shop façades, bustling ramen shops and colourfully decorated textile shops will surely excite any child and bring out the younger side of any adult. Cute finds a home and warms a heart in Tokyo. 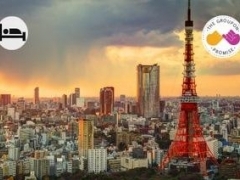 Visit some of Tokyo’s most famous sites like Meiji Shrine and Tokyo Tower, a red-and-white tower that’s modelled after the Eiffel Tower and now has a block model of its own purchasable at toy stores. Yes - it is that famous. Next take some photos at the Imperial Palace, where the Emperor of Japan currently resides. Visitors are not allowed inside, but you can still wander through the gardens and see the remains of the 15th-century Edo Castle, once home to samurai warriors. For the freshest taste of Japan, head to Tsukiji Fish Market. Be awesome and arrive around 5am to line up for some quality sashimi off the boat. Head over to one of many sushi counters tucked into discrete side alleys. Fish mongers cut up smaller fry or marinate some fleshy finds and serve it over pillowy bowls of rice. It doesn't get any fresher or better, than this.